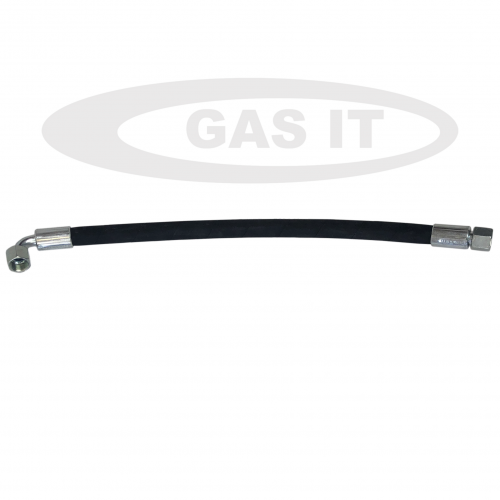 Gas it, 0.75 mtr straight/angled GI-FH-013 - GAS IT Leisure Gas Bottles, Gas Cylincers and Gas Tanks - Catering, Motorhome, Campervan, Caravan, Farrier and Road Repair Refillable Gas Solutions. These are UK and EU approved so can be used in any country. Connects the vehicles Brass fillpoint directly to a GAS IT, Gaslow Refillable bottle, GAS IT 4 hole Refillable Gas tanks, Alugas & more. These SAE Fill Hoses are held in stock in lengths from 0.5 mtr up to 3 mtr. Sizes over this can be made by connecting 2 hoses together with a separately purchased Male - Male connector - sold on our webshop.